Crafted with your winter style repertoire in mind, Aspinal's selection of men's leather gloves fuse protection from the elements with a timeless approach to accessorising. 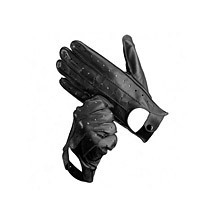 Classic sensibilities lie within the vintage-inspired design of our men's leather driving gloves, handmade from butter-soft nappa leather and accented by hand stitching and a traditional brogue design. 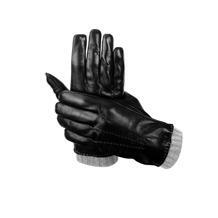 For particularly biting days, turn to our Cashmere lined leather gloves. Available in a variety of shades, the 100% cashmere lining is as luxurious as it is warm. Guaranteed to keep your hands warm and protect them from the elements, the Aspinal collection of leather gloves for men are individually hand stitched from the finest Nappa kid skin and offer optimum warmth with exceptional styling credentials in a masculine colour palette with styles including black leather gloves, silk and cashmere lined gloves and mens leather driving gloves. Our cashmere lined leather gloves are designed for those cold winter days and are lined in 100% finest cashmere and have a hand stitched detail to the fingers and back of the hand. 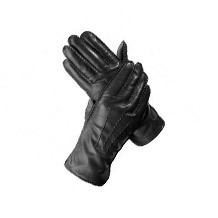 For the ultimate in luxury and warmth our sheepskin lined leather gloves have a tapered wristband and are lined in 100% pure sheepskin. Our mens driving gloves are designed to improve your driving comfort, our men's driving gloves are ideal for autumn and winter driving, shielding your hands from the changes in temperature outside in the cold air and in-car heating. Unlined with hand stitched detail, these are a real companion in the car. All of our mens leather gloves come beautifully gift wrapped in an Aspinal signature gift presentation sleeve.